“Well, government has also indicated that they may also have to revise theirs (gross domestic product growth) as well. It is very simple and straight forward, it (IMF’s revision) is related to the El Nino-induced drought and the aftermath of Cyclone Idai. Also, as you know there is the role of the primary factors that have had an adverse effect on the economy and the shortages of foreign currency. As you can see, a lot of companies are closing as a result of the acute shortages of foreign currency,” Kanyenze said. Economist John Robertson said: “I think that the IMF has more accurately measured the capacity in the country now. The fact is that we have not done any important work in investing recently and we still have constraints on the amount of investments that actually take off now. We have got a scarcity of money and a scarcity of investors with the confidence to come here and so we have not attracted the investment capital that would overcome our liquidity problems. And of course, we are still presenting a very uncertain future because of the number of constraints that are still imposed on new investors,” he said. “I have spoken to people within the past few weeks. They said they wanted to build factories, but that they were going to build them in Botswana because if you are going to come to build factories, create jobs and exports we will give all kinds of benefits and attractive advantages which will make you very pleased you came to Botswana. In Zimbabwe, if you want to invest, you have got to pay for the privilege of being allowed to invest in Zimbabwe and you will pay for that with many permits and licenses…but the fact is that it is a very more hostile environment and I think that is what the IMF has picked up,” Robertson added. Economist and former legislator Eddie Cross was, however, optimistic that the country would register subdued growth, ruling out a slide into recession. “I think that they (IMF) are being too pessimistic. Mthuli (Finance minister Ncube) believes that we are going to get growth of 3% and I think he is right. I do not think the fund (IMF) understands the Zimbabwean economy. What do I agree with them is that I think we have got to recognise that what the government has done in the last year has been to shift the economy from consumer led growth path to export-led growth and the changes in monetary policy have emphasized that,” Cross said. He added: “So, the exporters are in a situation where they are in receipt of very substantial premiums on export proceeds and this is going to lead to growth, export-led growth. But, clearly, if you boosted consumer demand by boosting incomes or reducing Paye (Pay As You Earn) or whatever it would have an immediate impact on growth. With export led growth there is a time lag because what happens is that you introduce the incentives and then it takes time before they kick in and result in exports. Last October, Ncube launched a 15-month plan which includes reform initiatives to revive the country’s sluggish economic growth, restore order to public finances after years of fiscal slippage and address chronic external imbalances that have left Zimbabwe with excessive date extreme foreign-currency shortages. The Transitional Stabilisation Programme’s projections target 6,3% in growth by year-end and before accelerating to 9,7% by 2020, starkly more optimistic than the IMF latest projections. 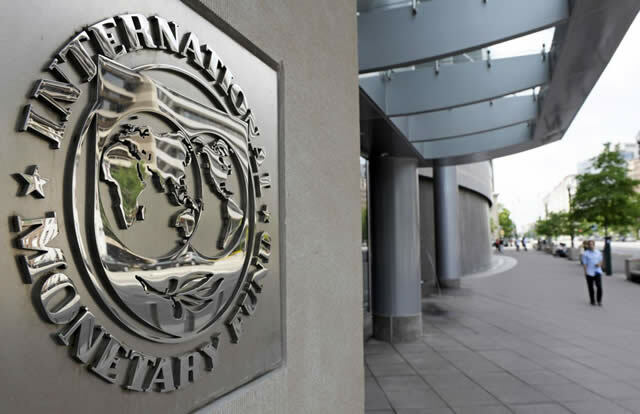 The post Zim will slide into recession: IMF appeared first on NewsDay Zimbabwe. Boot licking Eddie Cross programmed to make positive economic statements about Zimbabwe despite evidence by even a street vendor that there is serious retrogression in the economy. Millions of man hours are spent in queues for fuel on a daily basis. How then can an economy grow when so many hours are spent in idleness? I think Eddie Cross is dumb. He can’t smell the roses ! If the Government had the sense (and courage) to put agriculture back in the hands of people who know what they’re doing, this would certainly drive significant growth. Meanwhile, Eddie Cross should take a refresher in economics.